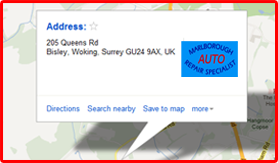 For car bodywork and dent repair in Woking and the surrounding local area, contact your friendly automotive specialists at Marlborough Auto Repair today. 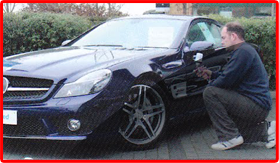 Instead of using traditional bodyshops that are notoriously expensive, our customers enjoy fast and affordable car paintwork repair in Woking where all of our work is carried out using the latest trade and industry practices. As well as saving you money, we also help to keep those all-important insurance premiums down to a minimum. 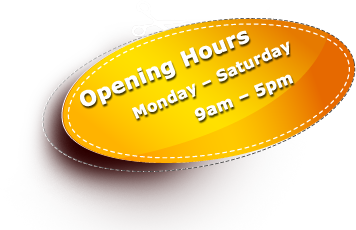 Marlborough Auto Repair is your leading local choice for SMART repairs and paintless dent removal. When we complete accident repair in Woking, out team uses innovative trade technology to remove superficial dents without the need for painting. If your paintwork is actually damaged, we can blend in perfectly matched colours at a fraction of bodyshop prices without the risk of high VOC emissions that can impact our local environment. Guilford Website design by Smart Local Media.